February 16, 2017 By David A. 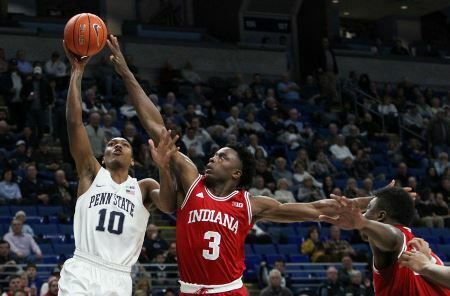 As the NCAA tournament quickly approaches, a number of teams are looking to add wins to their record during the final two weeks of the regular season as they attempt to convince the selection committee they should take part in March Madness. Being on the bubble is not fun as each of the last handful of regular season games have a postseason feel. Here are three teams battling to remain in the race for a spot in the NCAA Tournament. If they cannot turn things around now, they could be watching March Madness on television. Georgia Tech is one of the “bubble teams” at 15-11 this season after losing Wednesday night to Miami. With five games left in the regular season the Yellow Jackets must win at least three and possibly four to have a change of being selected in the NCAA Tournament. Tech’s toughest game left is against Notre Dame. Georgia Tech faces Syracuse twice down the stretch and the Orange have been struggling. Indiana jumped out of the gate this season winning 10 of its first 12 games, but is just 5-9 since. Injuries have devastated the Hoosiers this season. James Blackmon Jr. as well as Juwan Morgan missed a number of games and OG Anunoby was lost for the season with a knee injury. Indiana faces a tough schedule down the stretch with four of its last five games on the road. Games on the road against Minnesota, Ohio State and Iowa are all winnable, but the Hoosiers have lost two straight at home and must face a tough Northwestern team that beat them earlier in the season by 13. Tennessee is currently 14-12 after losing Tuesday to Kentucky by 25 points. The Volunteers are losers of three of their past four overall and need wins entering the final two weeks of the regular season. The rest of Tennessee’s schedule appears easy, as three of its final five games are at home and four of them are winnable. However, in their current form, each game will be difficult to win, unless they can turn their game around quickly.